Why is diversity in the workplace important to you? Diversity is extremely important to me personally because I believe that when there is a diversity of thought, culture, perspectives, interests, backgrounds, and experiences in the workplace, everyone benefits. A diverse workplace is even more beneficial in the practice of law, as we represent a myriad clientele through a variety of legal matters. Diversity in legal teams facilitates the ability to think creatively, to craft comprehensive solutions that address all aspects of a given legal challenge, and to offer clients the most desirable outcomes. Fostering a diverse workplace is the right thing, and a commitment to diversity allows Lewis Rice to cultivate business relationships and opportunities that will serve as the foundation of the Firm well into the future. How has your diverse background benefited your practice? As an African-American litigation attorney raised in a household of very limited means, I know firsthand the value of opportunity and how equal access and equal opportunity encourage success at all levels. Throughout my professional career, I have made it a point to focus on people, because the practice of law is a people business, and to view people as more than simply clients, judges, witnesses, or jurors. My background has helped me view life and situations through a prism that allows me to understand the circumstances of others, to be non-judgmental, and to appreciate differences that exist in society and throughout the world. This viewpoint has allowed me to expand my horizons personally as well, by learning about Chinese, Japanese, and Thai culture and about some of the philosophies that emanate from those cultures, through over 30 years of practicing various martial arts. Ultimately, my diverse background and experiences have enabled me to develop a multi-faceted, multicultural approach to legal problem solving, and to practice law in a way that connects with all types of people, from all types of backgrounds, and all types of businesses, large and small. 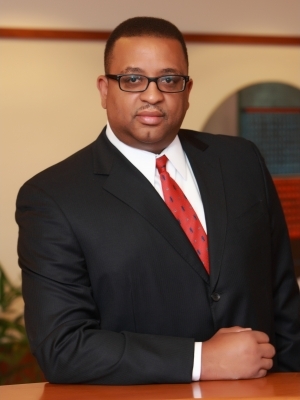 How is Lewis Rice actively supporting diversity in the legal community? "Proactively promoting legal diversity" remains the Firm's mantra and its diversity blueprint. Our Diversity & Inclusion Committee, working with the Firm's Management Committee, Recruiting Committee, and Associate Development Committee, promotes this mission on several levels: recruiting talented young attorneys from diverse backgrounds, mentoring these attorneys, and promoting policies that will help retain our attorneys. The Firm has proactively contributed to the St. Louis diversity conversation by encouraging attorneys to attend diversity networking events at each of the local law schools, including Saint Louis University, Washington University, and the University of Missouri. We are committed to supporting organizations that celebrate diversity and inclusion within our community, such as the Mound City Bar Association and the Women Lawyers' Association of Greater St. Louis. We are also active in many programs that support underserved communities, such as the College Bound Program, Herbert Hoover Boys & Girls Club, and Legal Services of Eastern Missouri. The Firm provides financial assistance to local OutLaw groups supporting Gay, Lesbian, Bisexual, and Transgender students, the local Hispanic Bar Association, the local Asian Bar Association, and various Black Law Student Associations. The overriding objective of these efforts is to position Lewis Rice as a recognized leader in legal diversity. What are some of your goals for the future, as the Chair of the Diversity & Inclusion Committee? My goals for 2016 and beyond are to vigorously continue the Firm's efforts to use recruiting to increase diversity among our attorneys and our staff, to promote qualified women to the ranks of equity and non-equity members, and to provide successful professional development for the Firm's existing minority and female attorneys. Ultimately, I hope that when I retire from Lewis Rice, the Firm will serve as a model of how a genuine commitment to diversity benefits law firms, society at large, the local, legal, and business communities, and our diverse clientele.